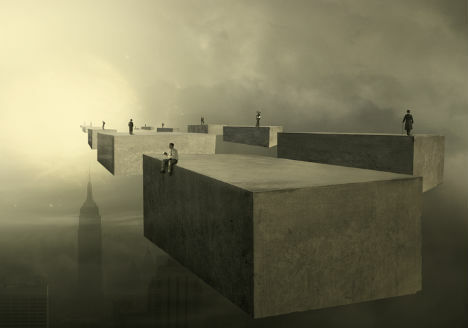 Massive concrete blocks float in the sky, high above the Empire State building, each inhabited by a single seemingly bewildered person. Gravity no longer applies, and residents walk around in a daze. 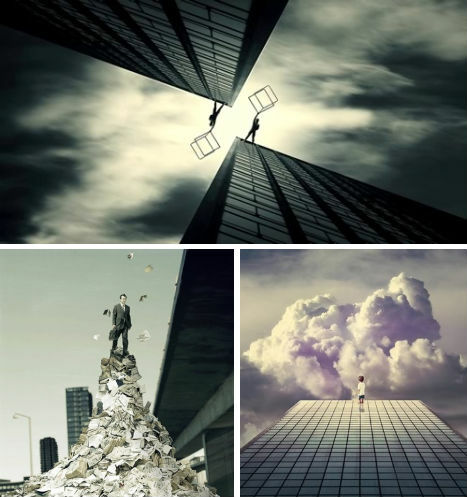 Welcome to the dreamlike fictional urban landscapes of Russian artist Eugene Soloviev. Soloviev’s digital art has an ominous tone to it, often featuring solitary figures in seeming contemplation of the chaos and strangeness of their environments. Muted tones, dark clouds and fog enhance a sense of disquiet. 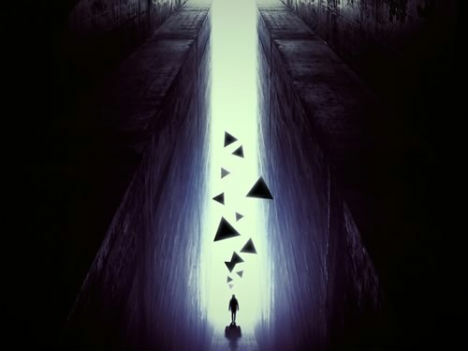 The images call to mind concept art for films, hinting at a meaning behind the confusion. 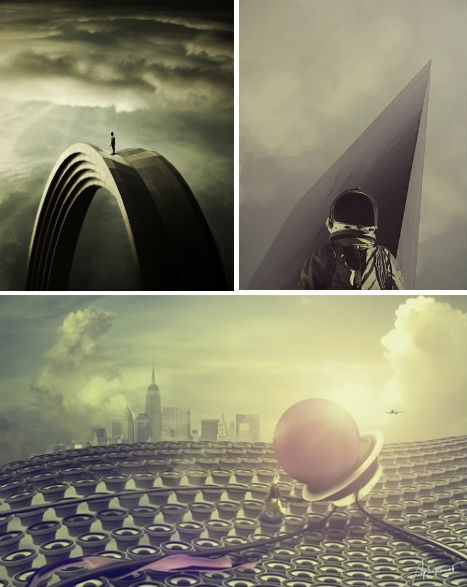 Within Soloviev’s images seems to be a wordless story, an explanation as to why a seemingly ordinary city is suddenly no longer subject to laws of physics, or for the alien-looking architecture that has sprouted up among skyscrapers. But that silence is entangled within the beauty of visual art – it forces our own creativity into action, coercing a fictional narrative from our minds. 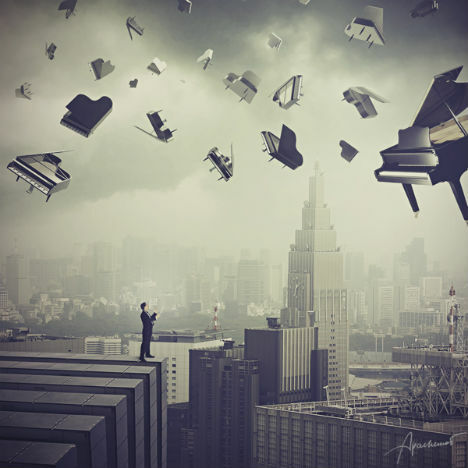 Entirely self-taught, the 21-year-old artist started out with simple photo manipulation in programs like Photoshop and Corel, and says that “for a joke” he cut out objects and placed them in non-standard landscapes. Ultimately, Soloviev refined both his skills and his particular brand of surreal atmosphere to produce a cohesive, thought-provoking body of work.